Ridley Block Operations manufactures and markets block supplements, loose minerals, and dried molasses. Products are sold under highly recognized and proprietary brand names, including CRYSTALYX®, SWEETLIX®, ULTRALYX® and STOCKADE® Brands, in addition to a number of controlled and private labels. Blocks utilize a variety of liquid and dry ingredients combining them with unique manufacturing processes that produce self-fed supplements to the marketplace. RBO is the largest in this segment and generally recognized as the industry leader. Since 2000, RBO has added four additional block forms to the original low moisture block product line, including pressed, poured, compressed and composite, as well as dried molasses. 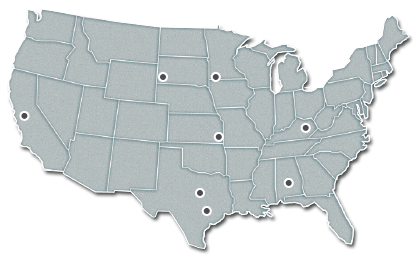 We are the only company able to provide our customers all five forms from an eight-plant manufacturing system spanning North America. RBO products are sold through a variety of distribution channels, including other feed companies, distributors, rural mass merchandisers, in addition to Hubbard Feeds and Masterfeeds LP.